← Developing your Business: Moving Into Office Space – How, When and Why? It’s time to tell the world: I have two new books out, and I’m pleased to share the news with my readers and subscribers. 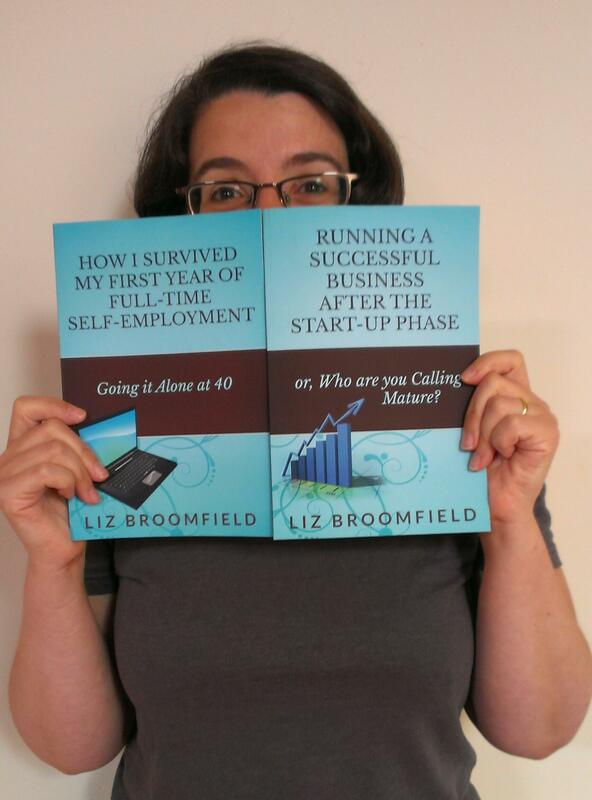 “Running a Successful Business After the Start-up Phase: Who are you Calling Mature?” is a look at what happens next. Following on from “How I Survived my First Year of Full-Time Self-Employment: Going it Alone at 40“, it shares what I’ve learned about optimising your customer base (including saying no to prospective new business), optimising your income, keeping that vital work-life balance, and blogging and the use of social media to build awareness and grow your business. It’s had some good feedback both personally and on its Amazon review page and I’m really pleased to be able to help people further along their journey through the wonderful world of self-employment and running a small business. You can buy the print or e-book version from Amazon – you can go straight to Amazon UK, or see the book’s web page for links to the other international Amazons, and buy in different formats including pdf and for Kobo at Smashwords. I decided to put “Your Guide to Starting and Building your Business” together to offer a low-cost option for people who want to read both books. It’s on e-book only at the moment, and is an omnibus made up for “How I Survived my First Year of Full-Time Self-Employment” and “Running a Successful Business after the Start-up Phase” which takes you right through from how to decide whether to go self-employed, taking the first steps, perhaps while working in a day job, setting up your business, getting your first customers, working out which customers to continue working with, using blogging and social media platforms and getting your life back while running a successful business. I really do write this blog and these books to help people, so I’m really pleased to be able to put this package together at a decent price, and it’s so great when I hear how I have helped people! You can buy the e-book only omnibus from Amazon UK and other versions of Amazon (see list of links), and for all e-book formats, from Smashwords. Thank you to everyone who’s supported me in my writing efforts – I’m so glad when I hear how I’ve helped people, and hope that I can continue to do so for many years to come. Watch this space for my new venture – an editors’ version of the two books and a workbook to go with both sets of books, based on the mentoring I’ve been doing with some industry colleagues this year. If you’re interested in how I got to this point, do pop over to my Adventures in Reading, Writing and Working From Home blog, where I talk more personally about writing the books and choosing (and tweaking) their titles. And you can find info on all of my books on the Liz Broomfield Books website! I read your blog it is interesting and i want read more, can i read your books online. Thank you for your comment – you can read my books on Kindle, the Kindle app or in other digital formats from Smashwords – all relevant links are included in the blog post. I love your website and the interesting information posted on it. Many congratulations on issuing the new books. I liked the new title which will attract greater audience for sure. I am certain it will make a wonderful impact on the business community and those who wish to establish their businesses and they look for extra guidance on the next steps. Please keep me posted via email of your new publications! Thank you Majed, I will be sharing new information via my newsletter and hope that the new titles will work out well for me, too!